What is The Purpose of Plasterboard in Building Construction? When searching for the ideal wall panels, there will be a variety of aspects you would want to look for. With different options like plywood, hardboard, fiberwood and plasterboard, there is a large range of properties you can consider for your construction job. Plasterboard is one of the most widely used material in construction jobs, be it residential or commercial. Here, let’s talk about the benefits and purpose of plasterboard in building construction. Flexibility – Compared to other wall types, plasterboard can be installed as an interior wall in your building in a much lesser span than that of other panel options. A conventional plaster application can take a week or more, whereas when the same job is done using plasterboard or drywall, it can be done within a day or two. Gypsum panels can fit in a variety of office environments, ranging from warehouses to companies. Our Konnstruct Plasterers in Melbourne will complete your job within the suggested time-frame along with an outstanding result. Fire Resistant – Many hazardous materials are used on a daily basis for different work processes. But, when you design a building, it is extremely important to take this combustibility factor into consideration. Plasterboard is extremely resistant to fire. Because of its non-combustible core, it retards the spread of heat and fire. In fact, even after complete calcination, plasterboard continues to serve as a heat-insulating barrier. 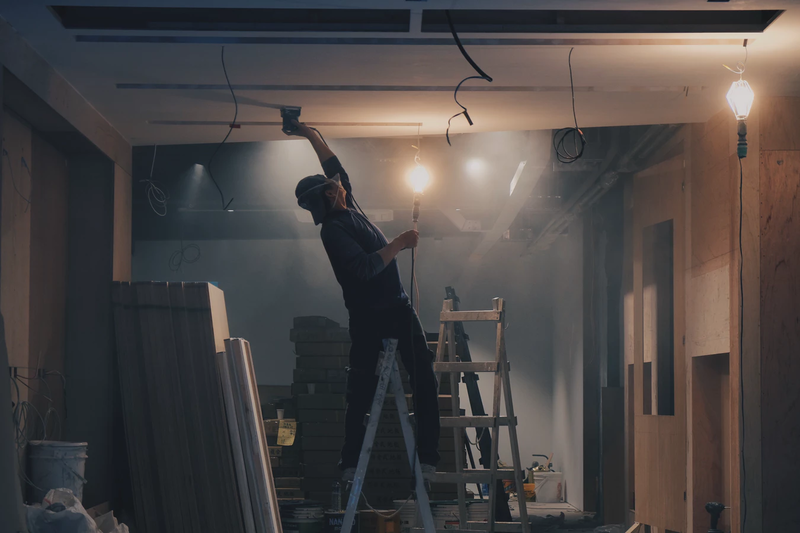 With low smoke density and low flame spread index, plasterboard continues to effectively protect your building from fire. Sound Dampening – Restraining the transfer of unwanted sound to neighbouring areas is a key factor to be considered when designing a building, especially a commercial one. When a company constructs its conference room right besides a manufacturing amenity, you better ensure that the wall panels will absorb all the unwanted noise coming from outside. This is where plasterboard or gypsum board comes into the picture. With a polystyrene core, gypsum does a great job of minimising sound transmission by its own. Cost – To conclude, plasterboard is a very convenient option for almost any wall application for building construction. Gypsum has been used commonly in construction since centuries. All you need is mineral gypsum, a few additives and water in order to make plasterboard. Since these are readily available and the process is easy, the overall price of the product is extremely less. With its high durability, maintenance costs are very low, making upkeep a breeze. At Konnstruct, we use plasterboard panels on a majority of our internal wall panels. Although we wouldn’t suggest that plasterboard is the perfect material for every wall, it is our go-to material for building construction that solves your space needs at a low price. Get in touch with our team for all your Plastering in Melbourne needs today! Call us now at 1300 743 734.